Those long dark stretches of highway out in the middle of nowhere without any streetlights might soon be a thing of the past thanks to the engineers and designers at the Netherlands-based Kaal Masten. They've created the Spirit, a standalone solar-powered streetlight that gets all the energy it needs from the sun, so it can be installed and provide lighting anywhere—even remote locations without access to power grids. Requiring three years to develop and perfect, the Spirit can be customized as required, even soaring almost 60 feet tall making them ideal for even large multi-lane highways. 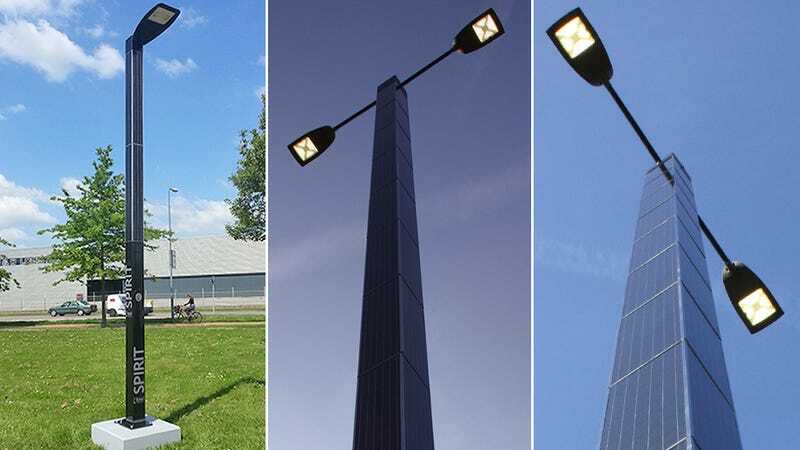 Using a combination of solar cells and high-efficient LEDs, the street light recharges its batteries during the day when the sun is out, capturing enough power—even on cloudy days—to stay lit all night long.